It’s becoming easier than ever to integrate higher-end satellite connectivity with cellular and other technologies, and in doing so, to instantly increase the footprint and reliability of your connectivity solution many fold. At the same time, new service offerings not only allow for improved data analytics, but also bring service prices down. Some analysts predict that the number of satellite-based connections for IoT will increase by 80% between 2016 and 2023. 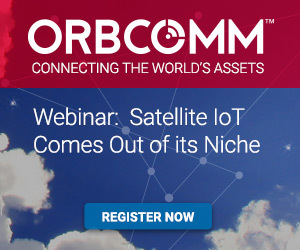 Join Sue Rutherford from ORBCOMM and Robin Duke-Woolley of Beecham Research for this live and interactive webinar which will use real-world examples to explore how satellite can help your business. Robin has over 35 years experience in the telecom/IT industry. Firstly in commercial roles covering Marketing Management, Sales Management and General Management in international technology vendor companies. Secondly in market analysis/consulting roles. 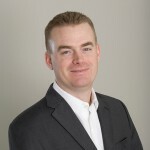 He has been researching the M2M/IOT market for over a decade, since 2001, and is an internationally recognized thought leader in this area. As the Vice President of Marketing for ORBCOMM, Ms. Rutherford is responsible for advancing the strategic direction of ORBCOMM marketing and its leading M2M/IoT solutions. Ms. Rutherford has more than two decades of global technology marketing and business development expertise in the telecommunications, software, semiconductor, SaaS and industrial automation industries and has led a number of multifunctional teams, working to increase constituency awareness and build market presence, customer footprint and strategic business value.